HomeBlogVictron Energy people: Who is Bob Hopman? Victron Energy people: Who is Bob Hopman? This blog is an insight into Bob Hopman, which is part of the ‘Victron Energy people: Who is who?’ series of blogs. My name is Bob Hopman and I became an employee of Victron Energy at the beginning of 2014. My experience with Victron though dates back more than 15 years, selling Victron products to Africa. These were classic no-break systems for regions where the AC-power was and continues to be unreliable, when compared to the stable supplies of Europe. I started working in the PV market in the late ’90s, as this was a growth market. I’ve lived in Germany since 2004 when my work activity started to concentrate on grid-tied PV systems, due the high demand for these systems. In 2011 this changed for me as the market was moving toward PV systems with batteries. My work at Victron includes technical sales responsibility for Germany and the north-east of France. In these countries I’m not alone and work together with several colleagues. My work also includes sales and technical training to inform potential new customers about our product range. I’m also active on this Blog and Victron Live, which are great channels to get the latest information on our products. Due to my technical background in the solar industry I created the MPPT Calculator excel sheet, which helps customers match solar panels to our MPPT Solar Charge Controller product range. Besides my work I enjoy spending time with my wife and our 2 children, with whom I live in the south-west corner of Germany (Black Forest) close to France and Switzerland. 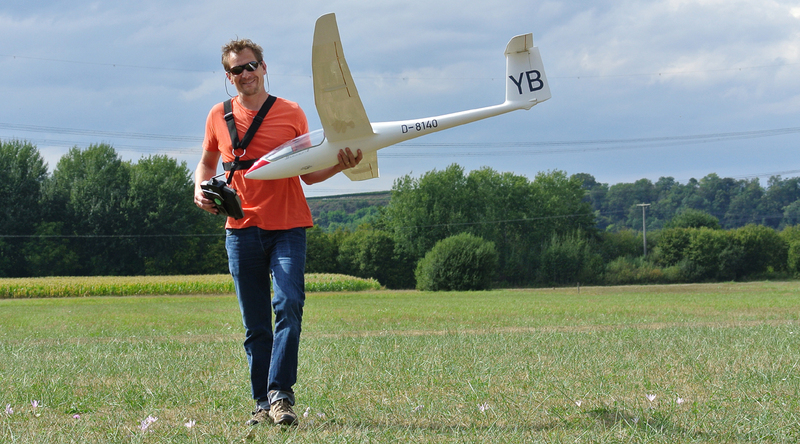 In summer you can find me out in the local hills and mountains with my RC sailplanes (see headline image) and in the winter I love to go snowboarding and hiking. I also enjoy informing youth about solar energy and there is no better way for that than in competition, so I’m active in competitions such as the Dong Energy Solar Challenge and the Ettenheimer Solar Challenge.